Have you noticed that in Google Chrome you can search many websites directly from the address bar? This neat tab-to-search feature is available already for some time. 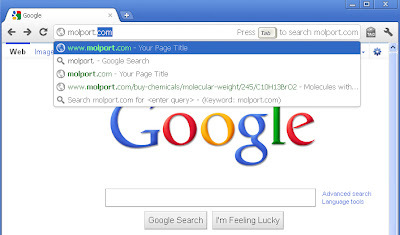 Unlike typing the search query in the address bar and pressing enter, this search method uses the search engine of the target site, not the search engine of Google. Instead of going first to the website, finding the search box, entering keywords and pressing the search button, you can simply perform the search directly from the address bar of the web browser. While not all websites support this feature, it is handy when available. 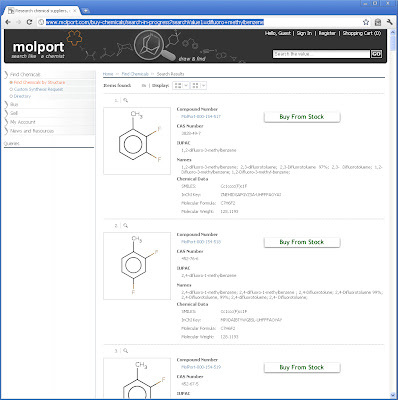 Tab-to-search now works with the Molport website as well. 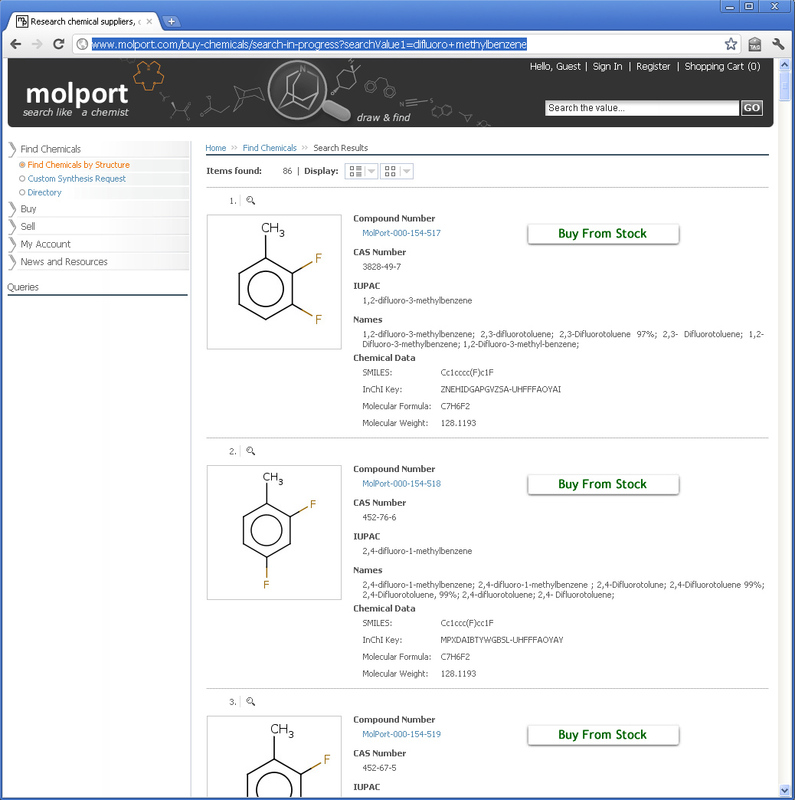 You still need to use the chemical structure search form.